It came as no surprise to anyone that the songs and poem chosen to farewell Healesville’s Maurie Gray were ‘Love and Marriage’, his and Mary’s wedding song, the Richmond theme song, and ‘Gone Fishin’. They topped and tailed a reflection of a life in which these things were important; but there was a whole lot more in between. Maurie was remembered as a man who loved his family and served his community, a man with a strong work ethic, with a ready sense of humour, and a man who knew how to enjoy life. The youngest of Edith and Arthur Gray’s four children, Peter Maurice Gray was born at Lilydale Bush Nursing Hospital on 11 December, 1930, and grew up with his brothers and sisters, Phil, Beryl and Bob. He remained close to his parents and siblings. 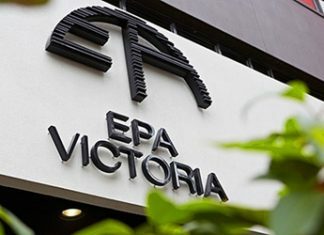 The family moved from Yarra Glen to Healesville when he was four and he went to Healesville State School, leaving at 14 after obtaining his Merit Certificate. Growing up in Healesville was a bit like a ‘Boys Own Annual’ adventure. His father worked for the Melbourne Metropolitan Board of Works and for Maurie that meant a leave-pass to fish in Maroondah Dam. Hitching a ride to school on the butcher’s buggy was not only fun, as it turned out, it was a forerunner of the career he followed for most of his life. 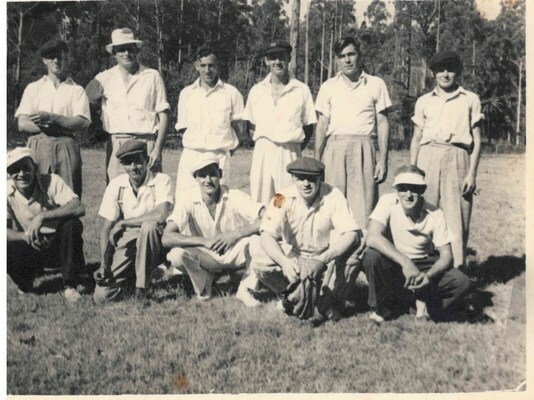 He had a number of jobs starting while he was still at school and including packing groceries, cleaning out chook pens, packing timber and working with the blacksmith at the dam. For a while he worked in Clifton Hill at a shoe factory returning home to take up a job at Alec Christie Butchers. That job included delivering the meat on a horse and cart … very possibly including the same round he travelled as a boy! 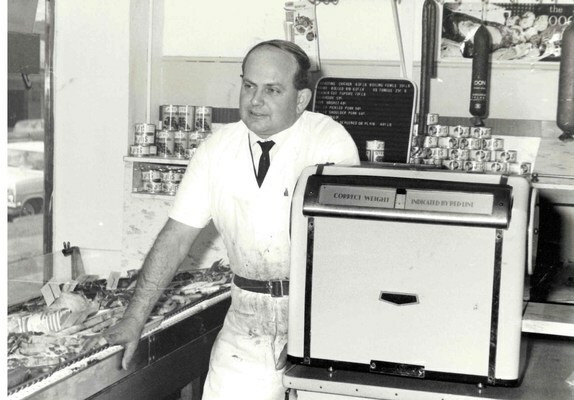 After a couple of years working in butcher shops in Traralgon and Melbourne, in 1954 he was head-hunted to work in a new butcher shop opened by Sam Baird. He later bought the business which he ran for the next 32 years. It was an exciting couple of years for young Maurie. He met the love of his life, Healesville bank clerk Mary Richardson, in 1955 at the popular Mayfair Cafe and they married on the 12 of May at the local Methodist Church. It was the start of a great partnership. “We had 62 wonderful years … you couldn’t ask more than that,” Mary said reflecting on their time together. It seems Maurie like to cram as much as he could into short spaces of time. 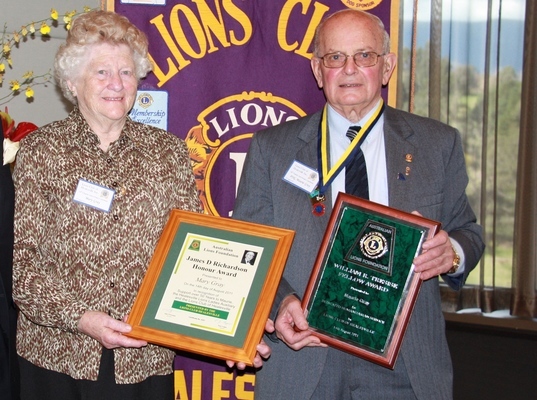 The next era started with the birth of Russell in 1959, followed by Peter in 1961, when he also signed on as a charter member of the Lions Club of Healesville. Brian was born the next year and Cathy in 1963. The shop involved long hours but when the doors closed around noon on Saturday, it was off to Eildon Weir with the family and friends for camping and fishing. Sport was a big part of his early life too. 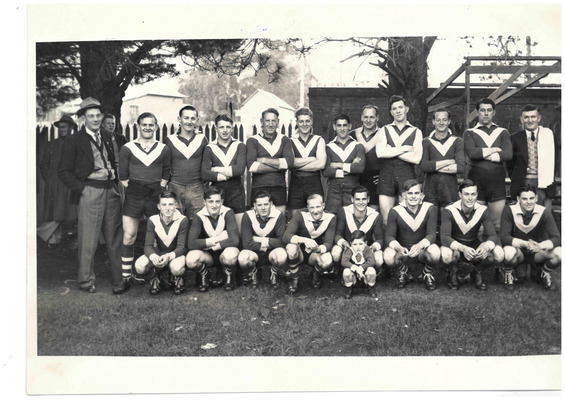 He played cricket with the Yumbunga Cricket Club in Chum Creek for a couple of years and in 1948 started playing football with Healesville and enjoying success as part of two premiership teams in ’51 and ’54. Between the premiership years he’d kept in form playing for Traralgon and Brighton clubs. He enjoyed his footy as a supporter of both the Richmond Tigers and the Healesville Bloods and of his boys and grandchildren when they ran out on the oval. 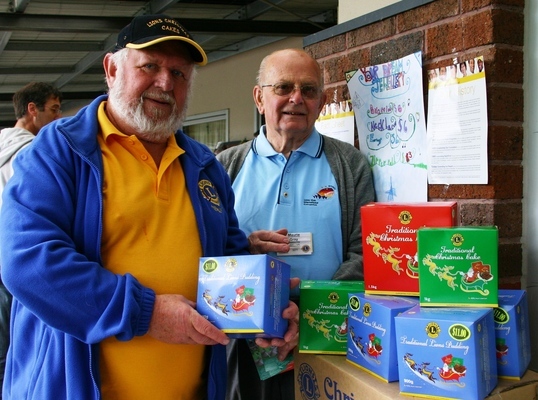 Throughout his working life he was a dedicated and hard-working member of the Lions Club, serving as president and treasurer with Healesville, as District Governor and national co-ordinator of the Lions Christmas Cake fundraising operation. 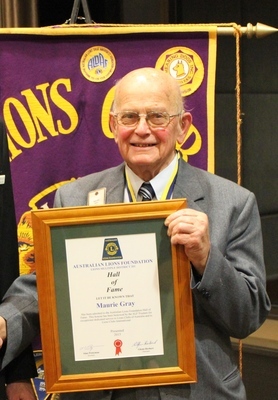 Fellow Lion and past president Bert Bresser spoke of the 57-year contribution that Maurie made to Lions, including a Fishing Competition in the early years that had a car as first prize. There were many other projects over the years including the establishment of the Senior Citizens Club Rooms and the Maroondah Retirement Village, still known colloquially as The Lions Village. The Lions Picnic Area and revegetation of Coronation Park and building of a pedestrian bridge – just a few among many of note. Lion Elaine Dossor also paid tribute with a poem ‘To Lion Maurie’ which concluded “Our friend and dedicated Lion in heart, but now a Lion at large”. Maurie was fortunate to enjoy good health up until the last year or so when his health deteriorated. There was some consolation in the fact that, despite an especially challenging last week, he never lost his sense of humour and was alert to the end. Maurie died on 14 July, 2018. He will be missed by his many friends and Lions colleagues, and most of all by his loving family including daughters and son in law, nine grandchildren and three great grandchildren, all of whom have a powerful and enduring legacy on which to draw.